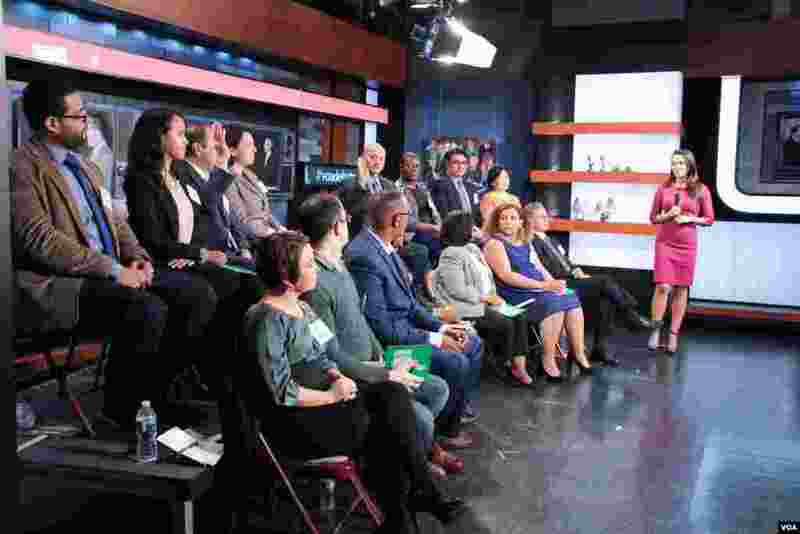 VOA invited American voters from a variety of diaspora communities to watch the second and third presidential debates and then share their viewpoints. The foreign-born Americans were from around the world, including Cambodia, China, Greece, Ukraine, Somalia, Cameroon, Egypt, Lebanon and more. 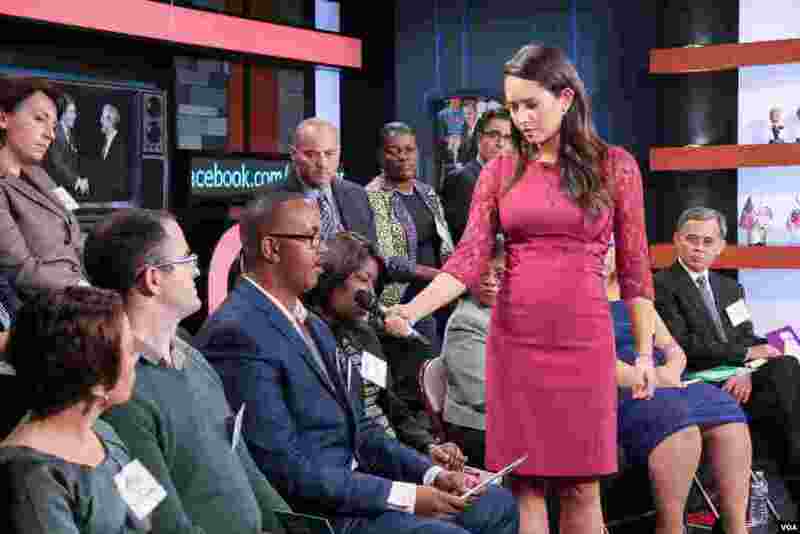 5 Our panel for the discussion following the final presidential debate, with VOA Spanish service's Angelica Herrera, who hosted the program on October 19, 2016. 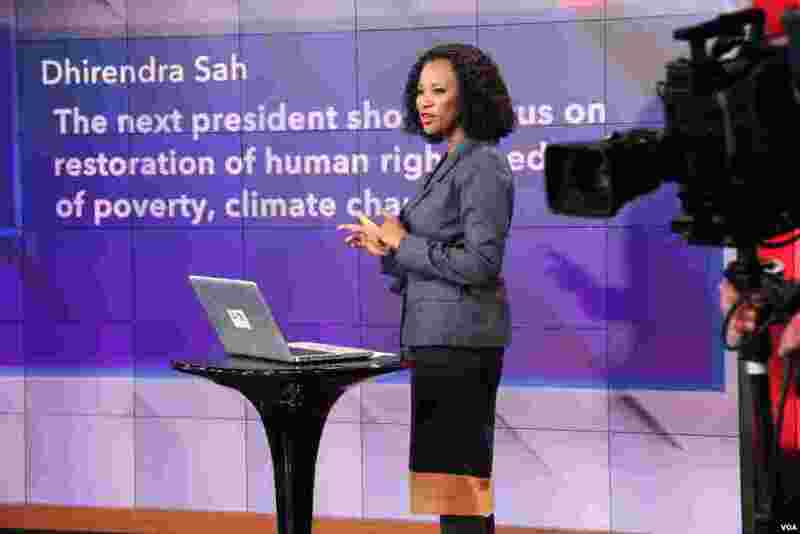 6 Social media host Mariama Diallo Crandall turned to our online audience for their thoughts using #VOAdebates. 7 Jamal Aden, originally from Somalia, shares his thoughts during the panel discussion, October 19, 2016. 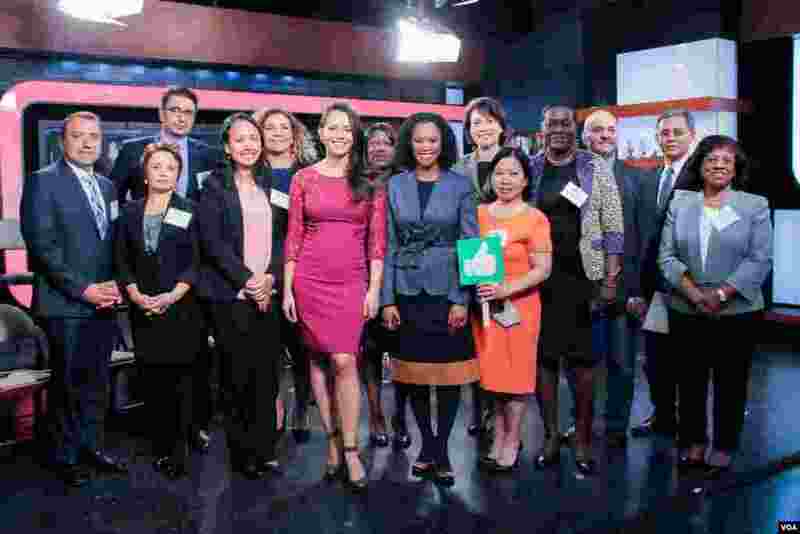 8 Group photo of the panelists with our hosts following the discussion, October 19, 2016.